I love when I see marketers knock it out of the park! VS PINK certainly knows their target market—millennial women. I won’t go into the fashion itself, but I will speak directly to the marketing techniques applied to this particular audience. And this audience is very particular—they know exactly what they want and they’re used to being able to get it with a tap of their fingers. But what really struck me as clever about the back-to-school catalog was the free gift with purchase. I had just read this great article about millennial demographic preferences that specifically points out the fact that “Millennials love their headphones.” So this (branded) gift with purchase hits that sweet spot with the VS PINK audience and further reinforces the brand. Perfectly on target: flat design, simple graphics, circles, bright colors. The inside pages of the catalog look like you’re shopping on an iPad. And then they sealed the deal with a hashtag tagline on the back cover. All perfectly tuned into their audience. So not only did the catalog arrive at just the right time to hit the back-to-school shopper, but the sequence of online and offline marketing touches reinforced the message over time. 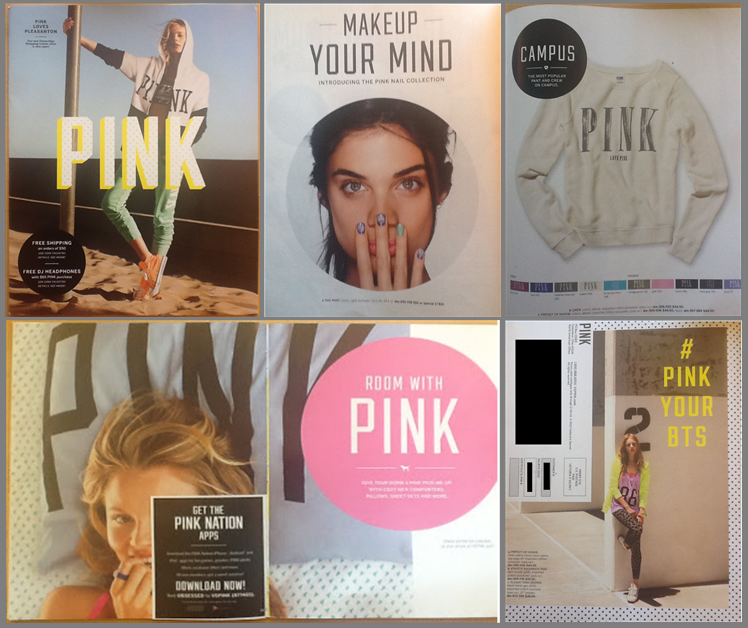 Well done, VS PINK marketing team! Thanks for demonstrating how to execute marketing effectively. I certainly enjoyed it! ← What Does It Really Mean to Be a Social Business?